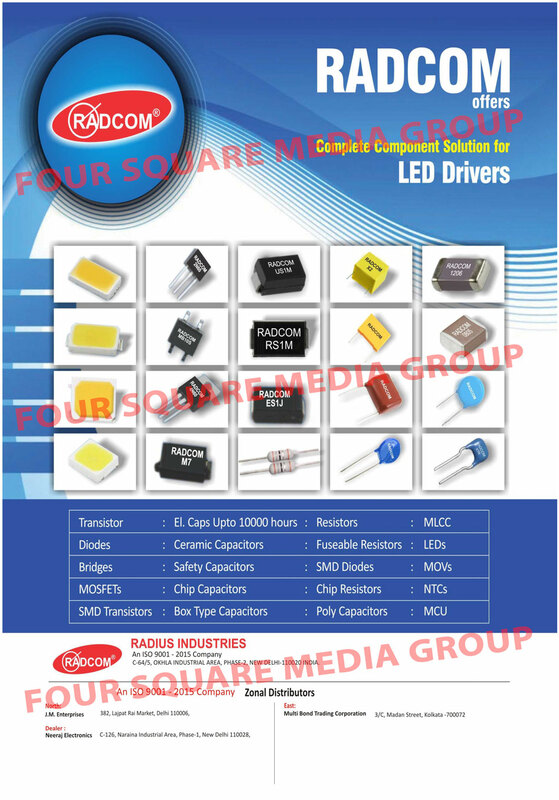 Led Drivers Components, Electronic Components, Capacitors, Diodes, LEDs, Transistors, Rectifiers, Bridges, Schottky, DIACS, Resistors, MOV, NTCs, Integrated Circuits, MOSFETs, SMD Transistors, Ceramic Capacitors, Safety Capacitors, Chip Capacitors, Box Type Capacitors, Fuseable Resistors, SMD Diodes, Chip Resistors, Poly Capacitors, MLCC, MCU, Electrolytic Capacitors, Public Address System Component Solutions, Power Transistors, Low Noise Audio Amplifier Transistors, Output Transistors, Integrated Circuits, Passive Components, Mobile Charger Components as an active Manufacturer, Supplier, Dealer, Distributor, Trader and Seller etc. (*Importer/Exporter/Service Provider). © Copyright 2019. www.99electronicsworld.com, All Right Reserved.